Can Aubameyang open his account at Stamford Bridge? The Blues silenced a few critics, for the time-being at least, in their 3-0 win at Huddersfield last Saturday. They needed to put in a performance following their 2-0 Community Shield defeat and they did just that. I am not convinced that Maurizio Sarri played anything other than relegation fodder though and this will be a much sterner test for this team today - especially his defence and goalkeeper. 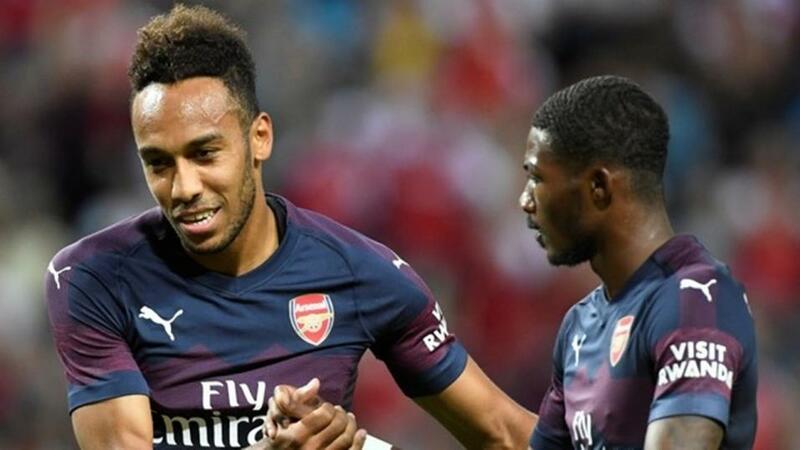 Unai Emery failed to deliver on pre-season promise in his first competitive match in charge of Arsenal. They were beaten 2-0 by Manchester City and it could have been much worse than that. I expect a much better performance at the Bridge though as Chelsea just aren't on City's level at the moment, and while I do fear for their defence if they continue to try and play out from the back, I have high hopes for their attack - especially if Lacazette is given some game-time alongside, Aubameyang. Jack Lang is also expecting better things from Arsenal today. Preston have won one and lost one in the Championship so far this season - both 1-0 scorelines, and both going in favour of the home team. Alex Neil's men did knock in three goals in midweek though in 3-1 EFL Cup success over Morecambe, and they will fancy their chances against a Stoke defence that have already shipped four in two this term. Stoke were the favourites to win the Championship title this year but things haven't started well at all. They were blown away by an impressive Leeds side on the opening weekend in a 3-1 defeat at Elland Road, and they then drew 1-1 at home to Brentford. The match reports appear to suggest that Gary Rowett's side were lucky to escape with a point against the Bees, and while they have looked okay going forward, their defending has left a lot to be desired. Mark O'Haire has covered this match in-depth here. Some of you may be wondering who Sport Recife are and why am I covering a match from Brazil when there are plenty of other fixtures on offer. The answer is that I follow Brazilian football and I can't ignore value if I believe it to exist. Santos have endured a miserable campaign this year, and even the great, Cuca, hasn't been able to revive their fortunes to date. They sit fourth from bottom in 17th, and they come into the game having gone seven without victory in the league. They did enjoy some success in midweek, as they won 2-1 at Cruzeiro in the Copa do Brasil, but that second leg victory wasn't enough to see them progress, and while they were playing 90 minutes of football, Sport Recife had their feet up. The visitors are in terrible form themselves as they have taken just two points from a possible 24, to slide down to 14th in the standings. Away from home it's four straight defeats, but three of those were by a single goal margin, and with Santos in such a sorry state, 6/4 for Sport to avoid a loss simply can't be ignored.